Los Angeles (AFP) – Golden State Warriors coach Steve Kerr thinks guard Stephen Curry deserves Most Valuable Player consideration, but he won't campaign for the honor. “I think he deserves it, but I don't think it's our job to promote it,” Kerr said Thursday in Oakland, California, where the Warriors will host Dallas on Friday. 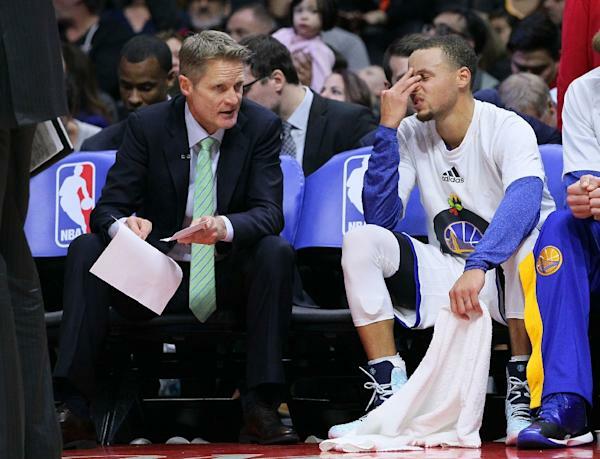 Coach Kerr is going to let Steph Curry's action do the talking. The rest will figure it's self out. I think all of the fans have their eye on Championship, not MVP's.